We finally got an afternoon in the workshop so we had to put our time to good use. 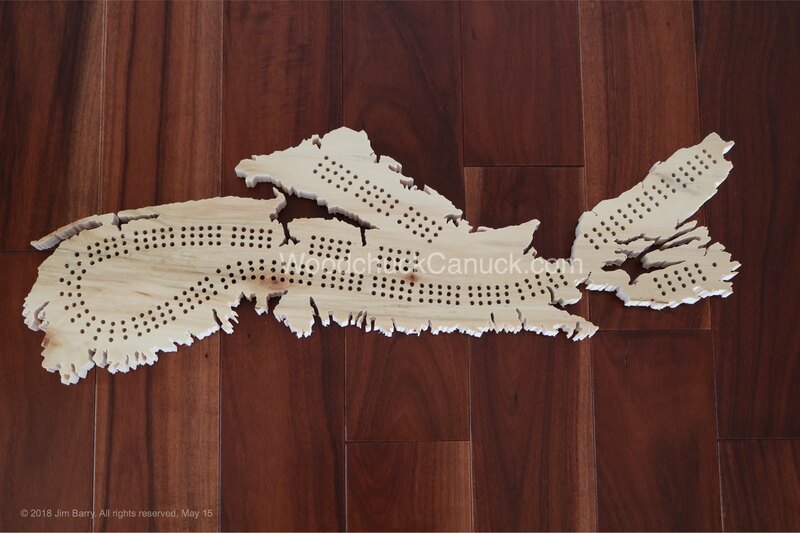 On order was a wood map of Nova Scotia crib board. Normally we print our maps out on self-adhesive paper and thats what we thought we had done until we got to the workshop and discovered we had printed them on vinyl. Me nerves. We decided to use them anyways and just tape the image to the boards. 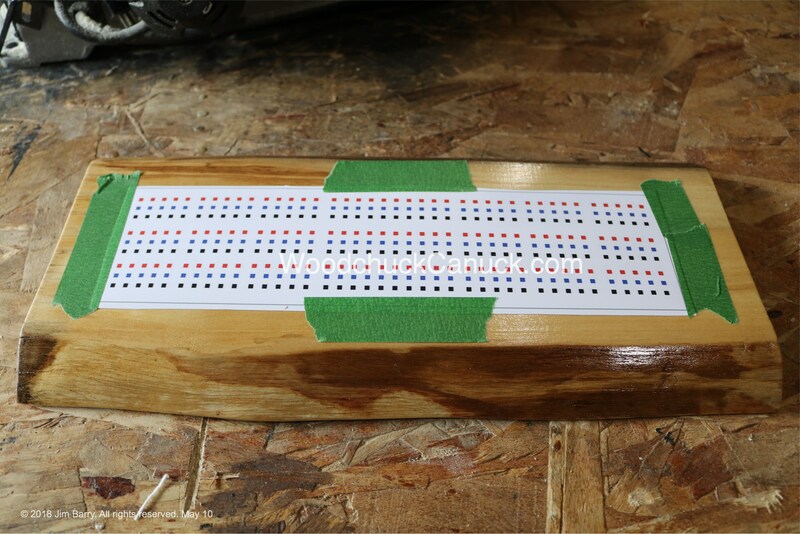 While Jim got set up on the scroll saw, I was getting the other live edge crib board templates ready for the drill press. 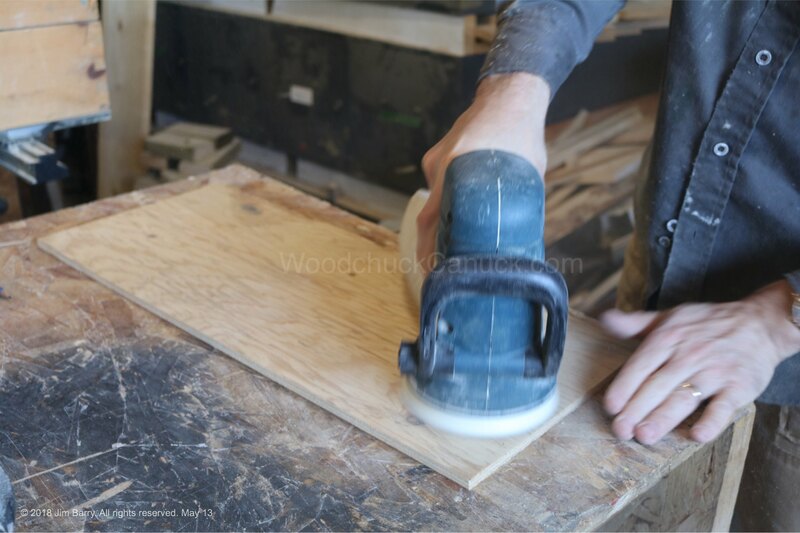 Now I had only used the drill press once before, but it wasn’t enough to scare me off. Jim had the stop set on the drill press so I didn’t have to worry about going right through the wood. He’s sensible like that. Meanwhile, behind me, Jim was working at the scroll saw. The first time a blade broke on the saw it scared me half to death. The second and third time I didn’t even flinch. We kept plugging away, me drilling holes, Jim scrolling the coast. 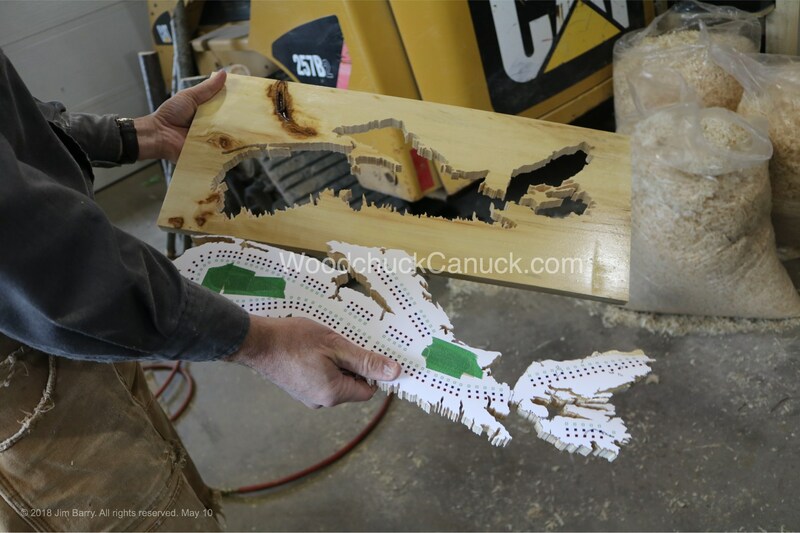 Once Jim finished cutting out the map, he still had to drill the crib holes in it. 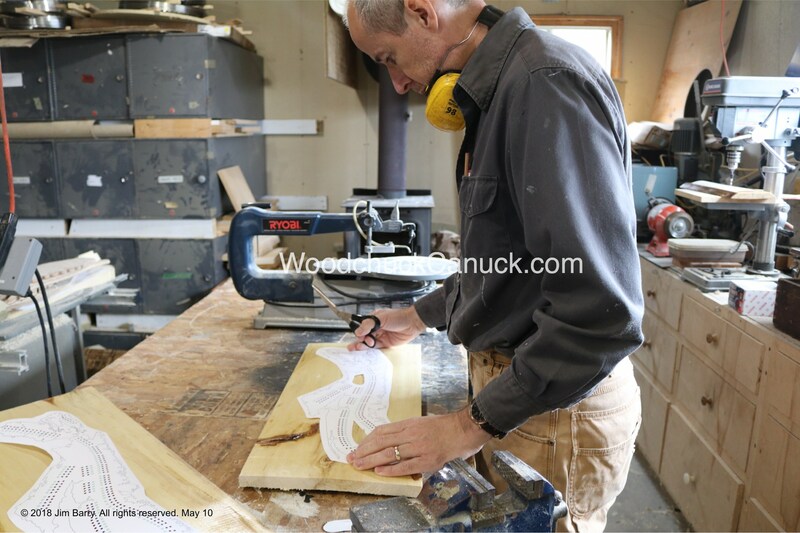 For the top piece, Jim cut out a backboard from 1/4 inch thick plywood and sanded it. I painted the backboard black, and then Jim built a frame. Each time we do another map project it becomes my favourite. 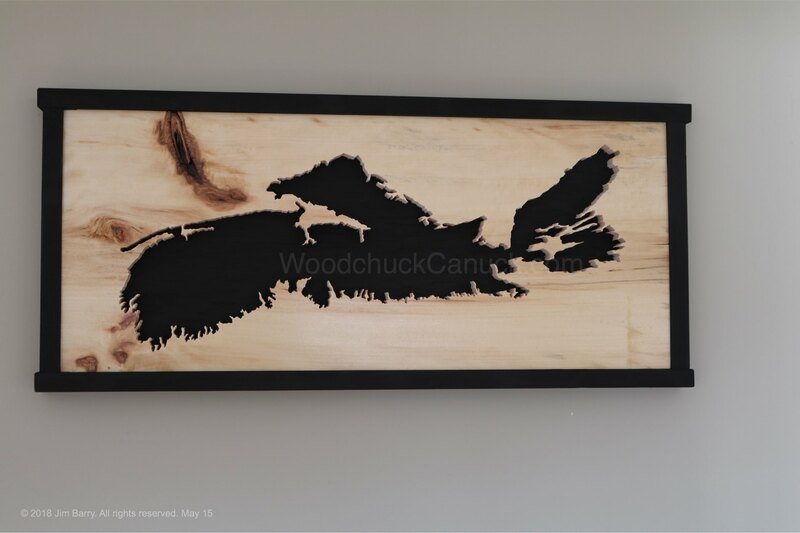 Love the natural wood and black together, but this one sold before we had a chance to add it to our project page. Not complaining.